Check out some of the websites that help our valued clients conduct day to day business below. Paul from Mindful Body & Spirit had created a website that by all means was an incredible effort for someone without any website experience. Paul approached me for assistance when he realised how much there is to creating successful website. There is a little more to it than images and text. Through consultation meetings and open and honest conversations we were able to arrive at a solution and design that Paul loves. WordPress custom components using Advance Custom Fields(ACF). I’ve never been much of a sweets man until I made this cake website. Imagine looking at all these amazing cake photos all day while trying to make this website that delivers such an amazing customer experience. The client direction was to create a website that showcased their products in a big way, easy to navigate by users and an easy way for customers to contact them. I guess the proof is in the pudding. It was truley a fantastic experience creating this website as I had the opportunity to collaborate with a very tallented graphic designer. I also got to cook and take photos of some amazing recipes based around the tomatoes and zucchinis that MCG Fresh Produce grow. Most of my e-commerce experience has been at an enterprise level so it was fun to work with Davide from Martzi Eyewear to create an online store for this amazing boutique eyewear brand. I learnt so much from this project, stepping out of my comfort zone and doing some product photography and post production in Photoshop. I’ve been working along side the team at Mr Timber Floors for a couple of years now. Firstly making their existing website mobile responsive which doubled the Australian traffic almost immediately. Followed by a redesign that really improved the sites usability. I also manage all the website updates so they can concentrate on running their business. 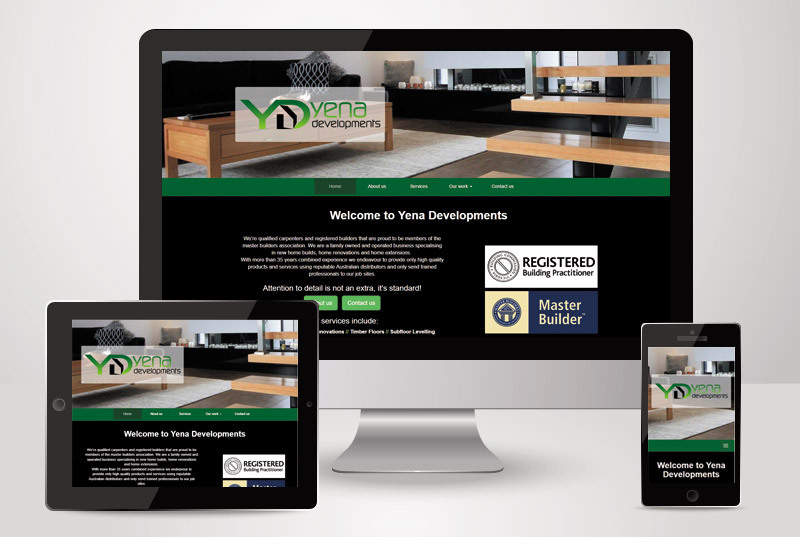 An example of how a simple theme can really work wonders and achieve exactly what the team at Yena Developments wanted it to. The brief was to create something simple that said a little about the business, showcase some work and give customers all the contact info they need. Content creation & visual asset preparation. I’ve been working alongside the Assured Tree Care team for a number of years from the creation of the website to ongoing content support and maintenance. The team originally approached me with designs and I was able to build a custom WordPress theme to accommodate.